March 2016 - Page 2 of 4 - Pebbles, Inc.
Hi Pebbles Friends! 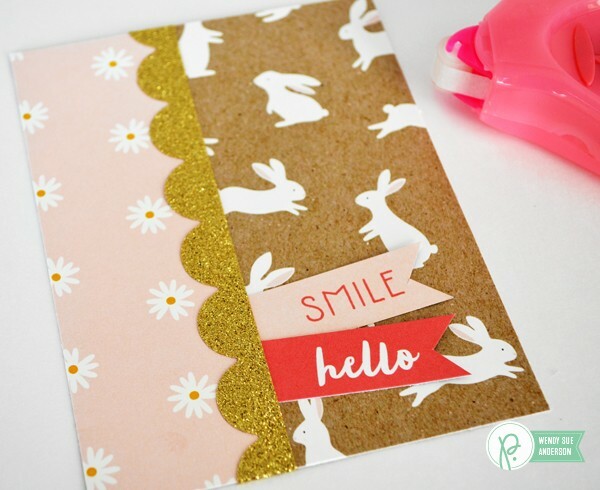 It’s Wendy Sue here today, sharing some fun little Easter cards I created for some of my favorite ladies – including my sweet mom! 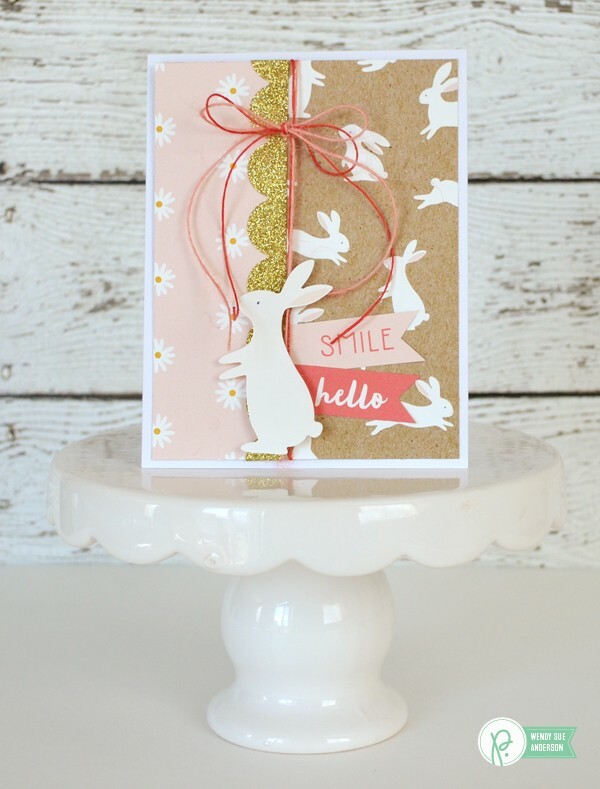 I didn’t want anything super “child-like” for these cards – I wanted the Easter theme to be subtle…but still obvious…and the cute bunny paper in the “Spring Fling” collection was the key! 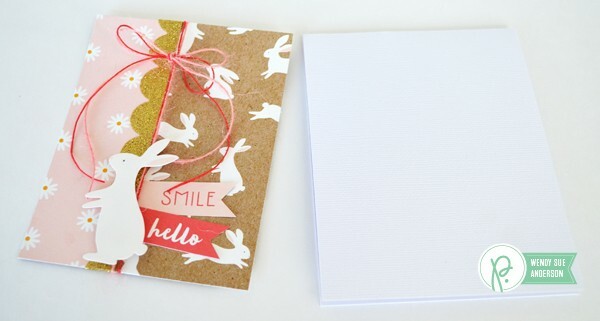 Here’s a peek at the set of cards I made. 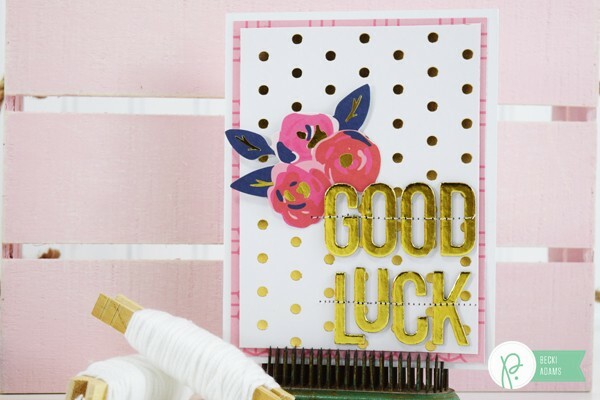 Keep reading for a few of my all-time favorite tips for card-making. 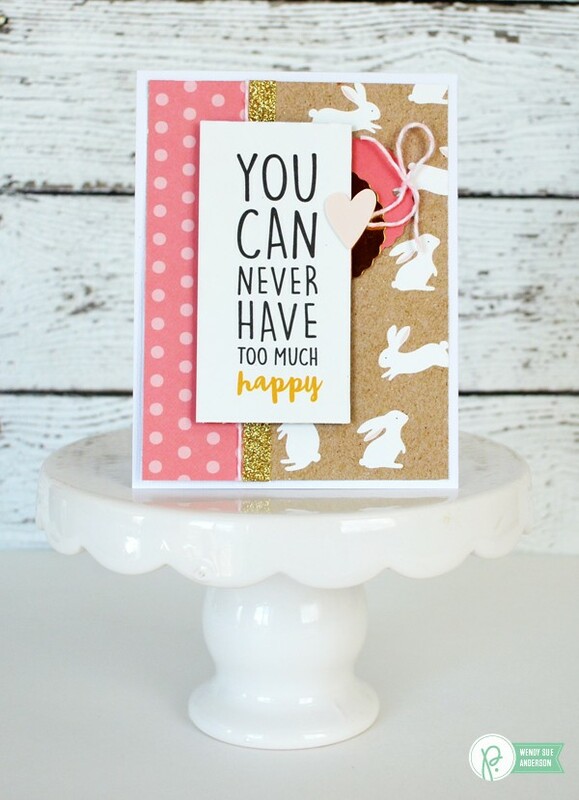 I love making card sets – and to me, “card set” doesn’t mean they are all the same card. I have a little formula I use – this is my “stand-by,” “no-brainer,” “go-to” process…so now I’d like to share my “cheat” method with you. 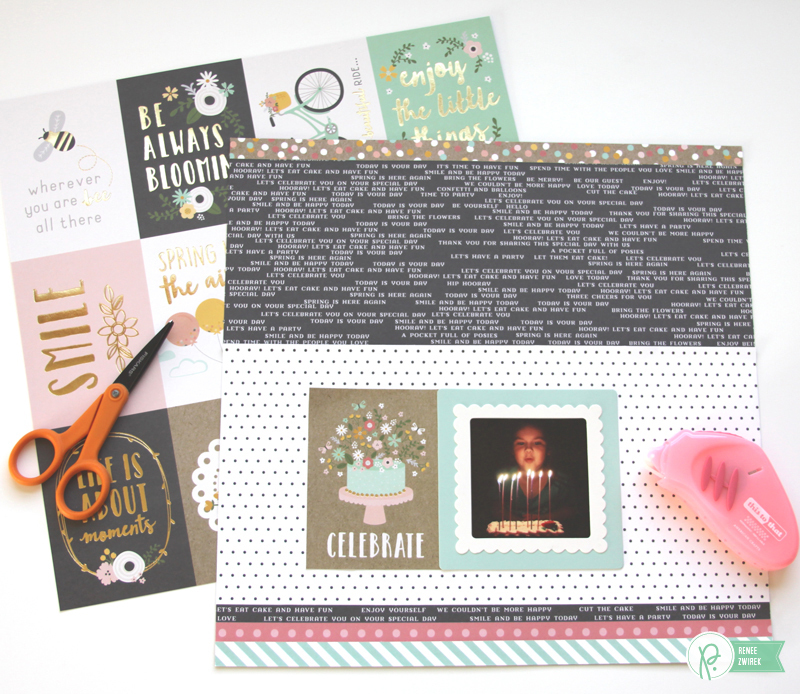 Here it is: (1) base – in this case it’s 4″ x 5 1/4,” (1) or more sentiments, (1) paper strip – 1 1/2″ wide and long enough to place on the side or bottom, trim, stickers/with foam adhesive to attach, additional embellishments if desired. And then the assembly process begins! That’s it! The first card in this set is complete. 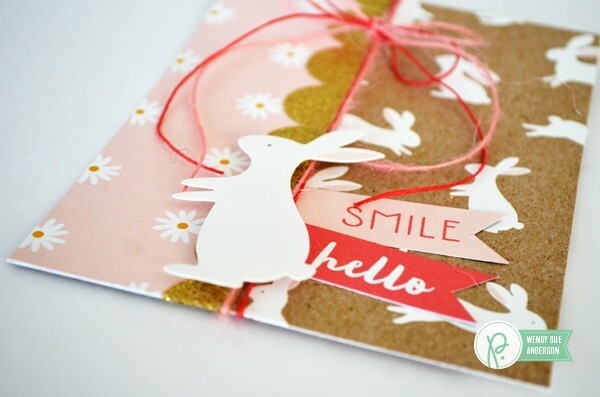 That’s my secret – and now it can be yours as well – a simple process for making an entire set of cards with a few simple steps. Hello everyone! Welcome to the Pebbles blog! 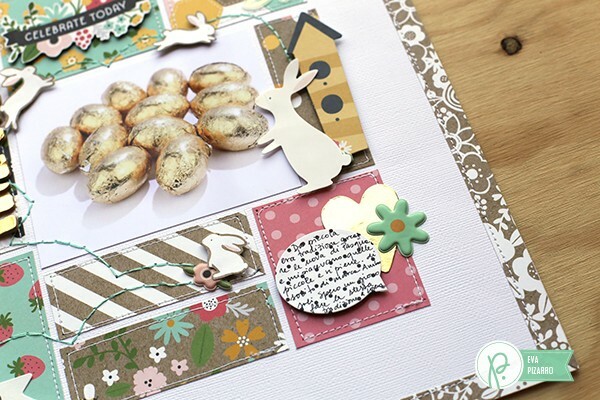 I am Eva Pizarro, and today I am going to show you an easy and fun Easter layout. 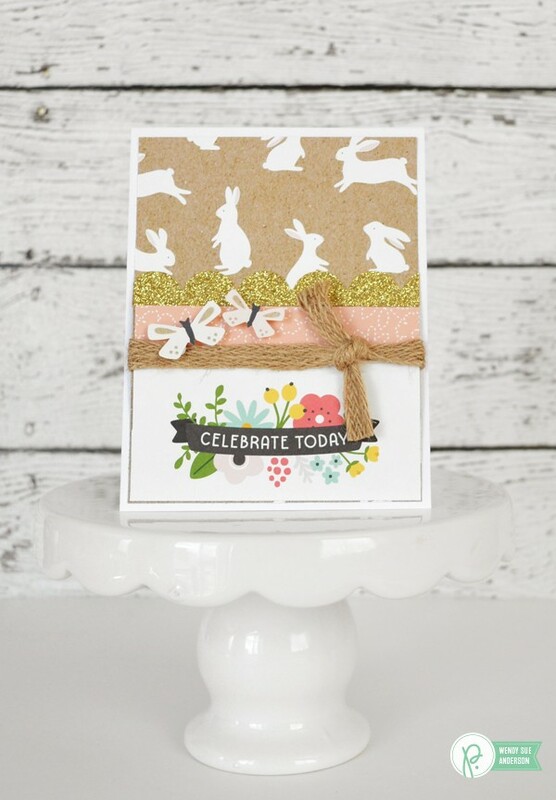 I am using the new Spring Fling collection – the pastel colors and the designs are perfect for birthdays, weddings, baby showers, parties and even Easter! If you haven’t had a chance to check it out yet, you can view a preview of the entire collection here. I know you are going to love it! 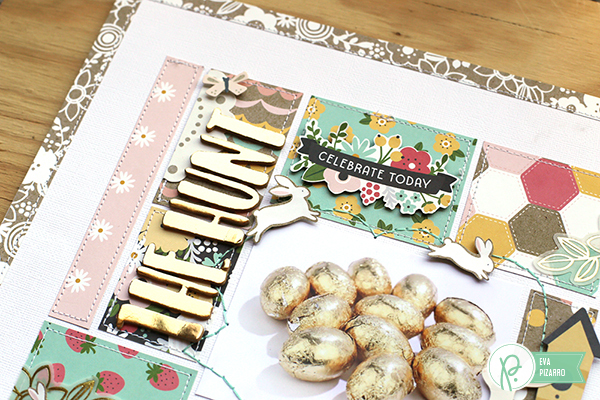 My layout is called “The Hunt” and tells the story of my first Easter egg hunts. I loved to search for all those tiny chocolate eggs all over my house. We only had those little ones back then, but they are still my favorites. I hope that I can pass this tradition to my toddler now. For this layout I chose a Color Blocking technique so I could use all those wonderful papers. I placed my picture on my page and then framed it with little pieces of paper. 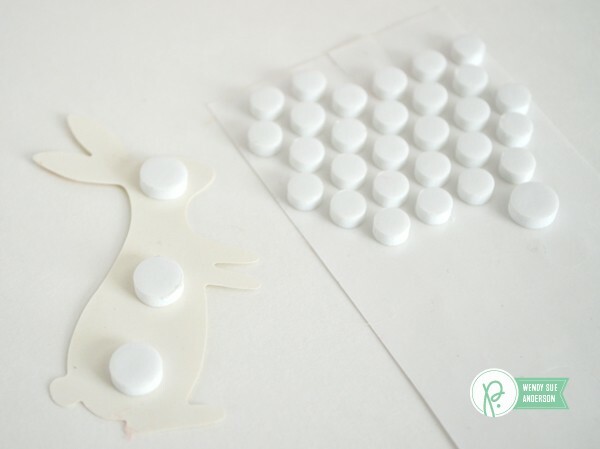 I glued the papers with only a bit of liquid glue on the center. 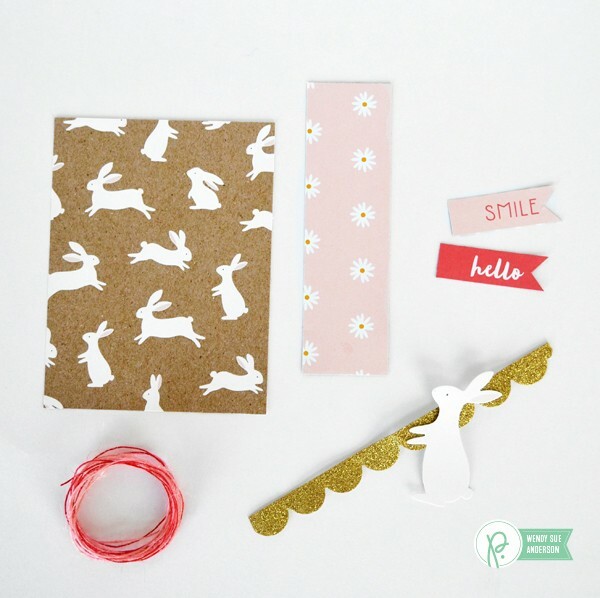 Here in Chile we don’t have many scrapbook stores so I am used to stretching my paper as far as it can go. To make my frame, for example, I simply cut 4 strips of paper and cut the angles at 45 degrees. 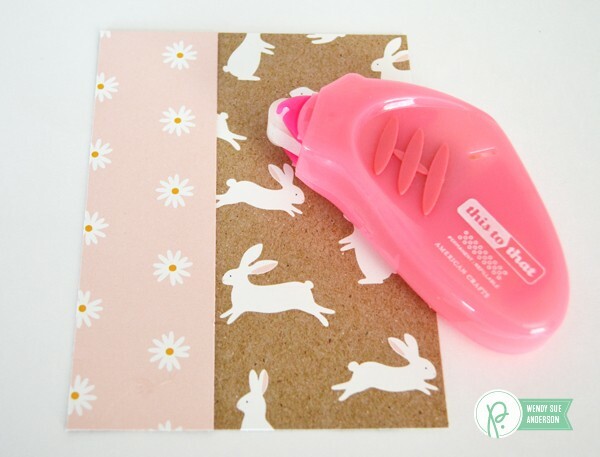 There’s no need to use a whole piece of paper! 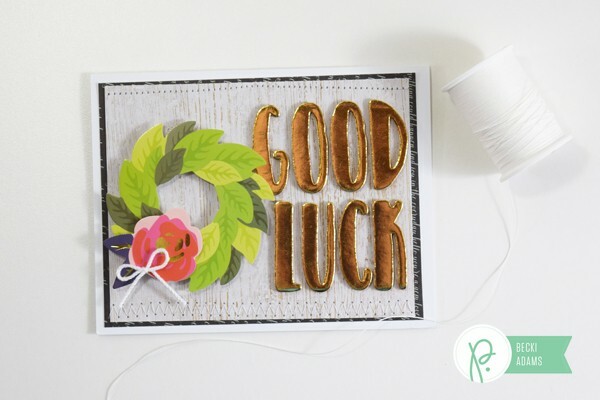 To add some texture I stitched my pieces of paper to my page with my sewing machine. It is very important that you don’t have tape adhesive in the borders of your squares, otherwise your machine needle could jam. Next, I added my title and some embellishments. 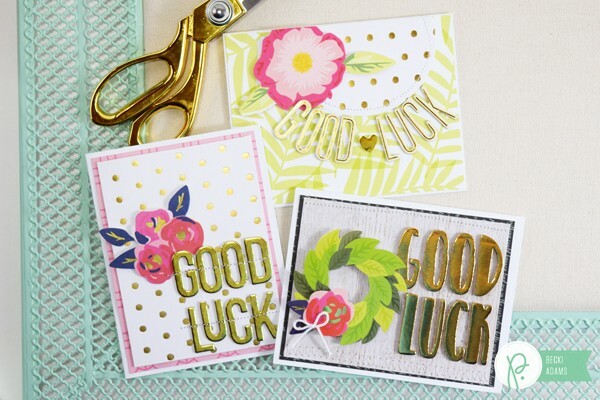 I used mostly my die cuts and glued them with dimensional dots to make them pop. 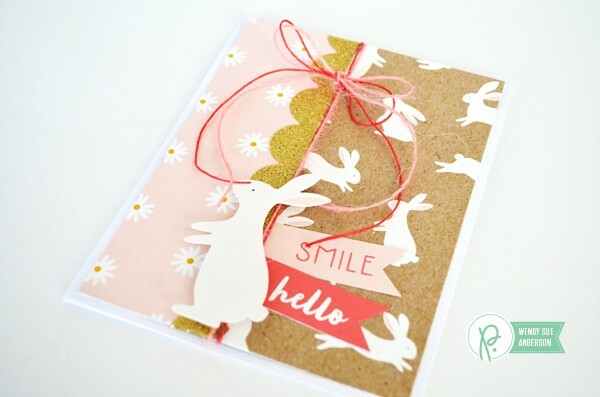 Aren’t these bunnies the cutest? I cut them from the B side of this paper. 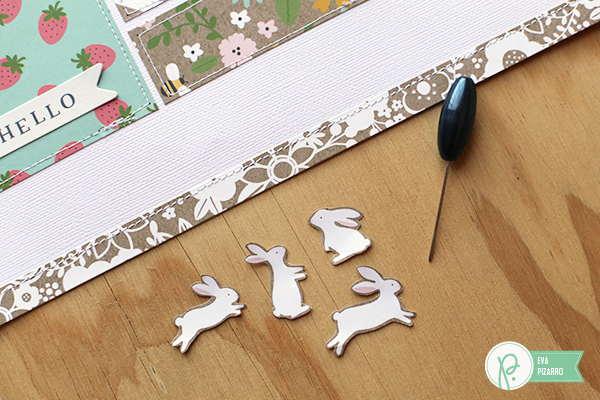 With a wide needle, I made tiny holes in my layout and hand stitched them with some embroidery floss. I used 3 strands. 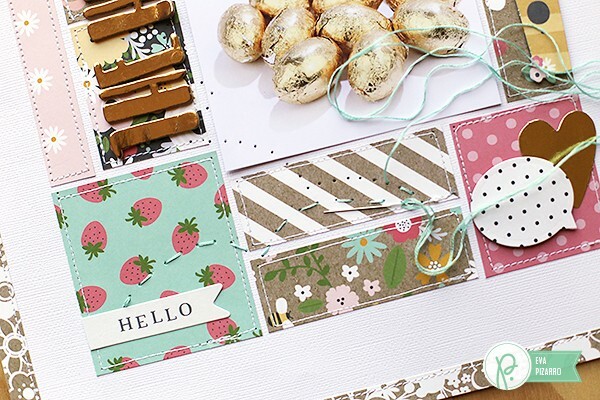 To make the holes easier, place your layout on top of a soft surface, like a cushion or a couch. Glue your bunnies with dimensional dots to give the impression they are hopping to the chocolate eggs and finish your layout with some final embellishments and journaling. 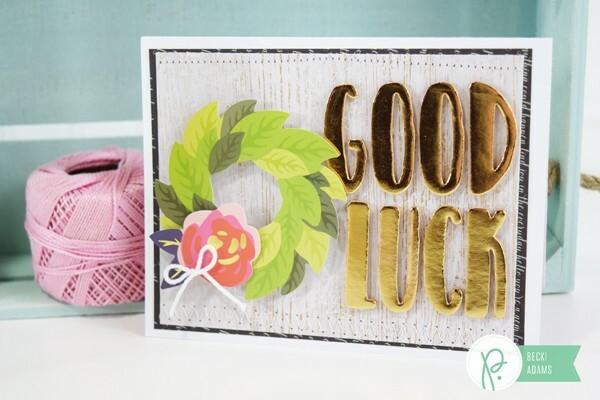 I really like the vellum embellishments that are included now in the die cut ephemera packs. 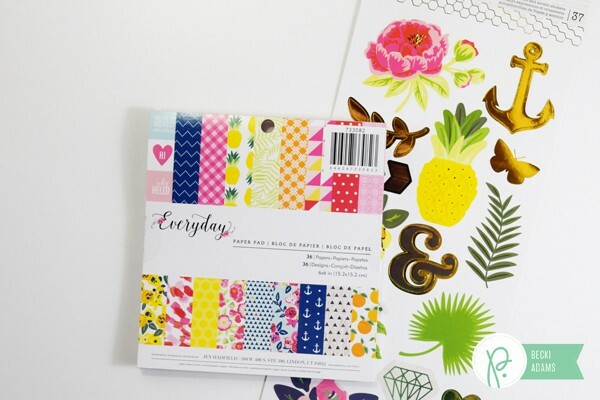 They are perfect for layering! These gold alphas add the perfect finishing touch. 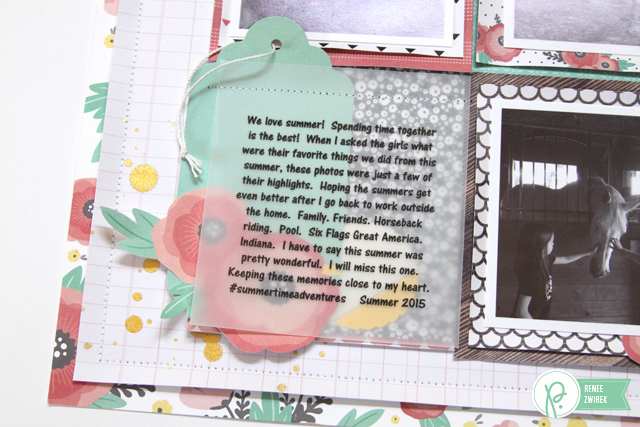 And for my journaling, I used some speech bubbles left over from this project! I really like the touch that some stitching gives to the project, don’t you? 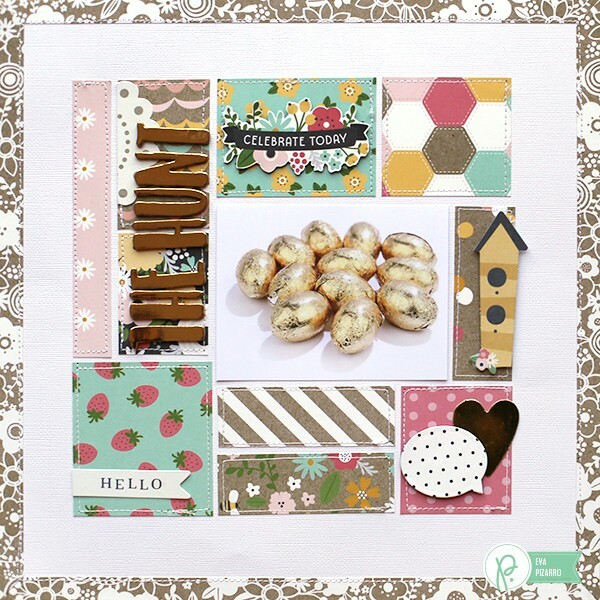 Here’s another example by Renee – she combined a grid design, layering and stitching to make this gorgeous layout. I hope that you liked my project this week, and I wish you a very Happy Easter! Hi Pebbles Inc. fans! 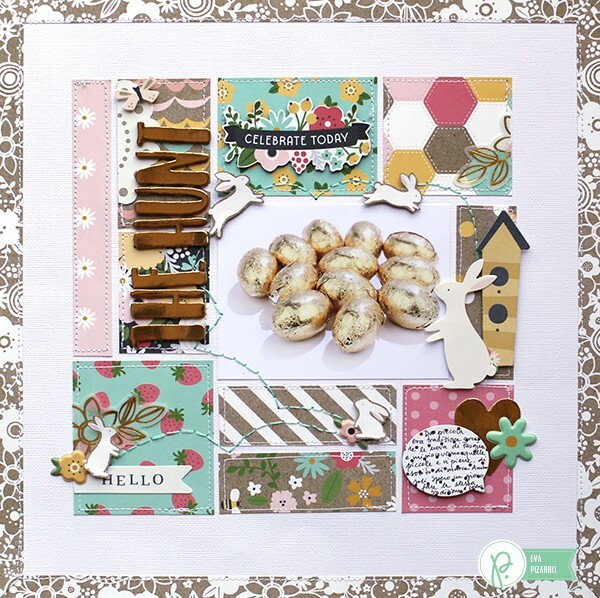 Holly from Ribbons & Glue today sharing DIY Everyday Stars made from the Everyday collection by Jen Hadfield. 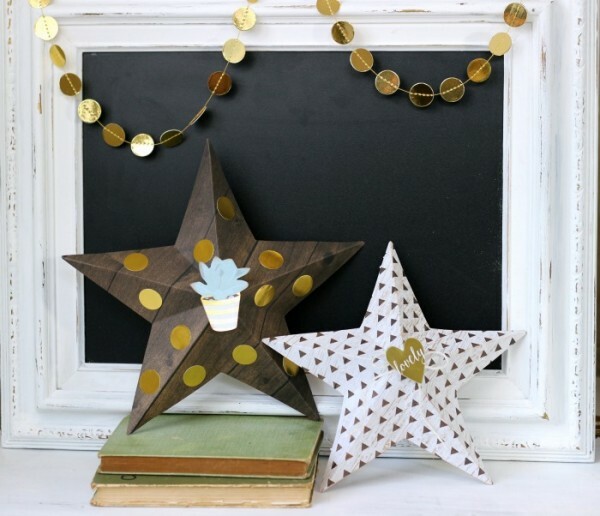 There’s something about having stars in your home decor that I am totally drawn to. 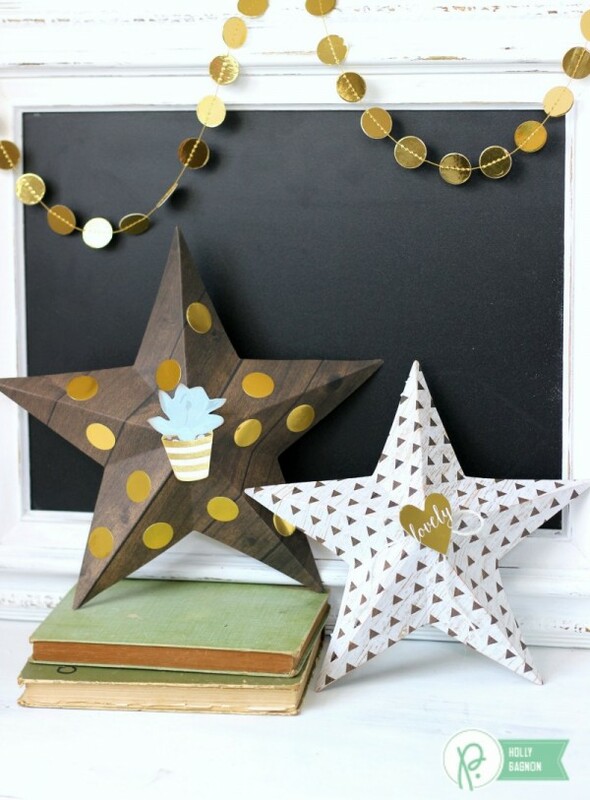 Big stars, small stars, rustic stars and especially stars made out of paper like these are just the best in my opinion. 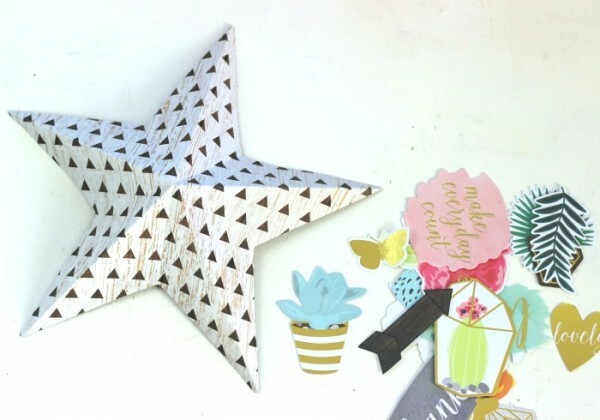 Paper stars are simple to make and can be changed up easily by using different themed patterned papers. 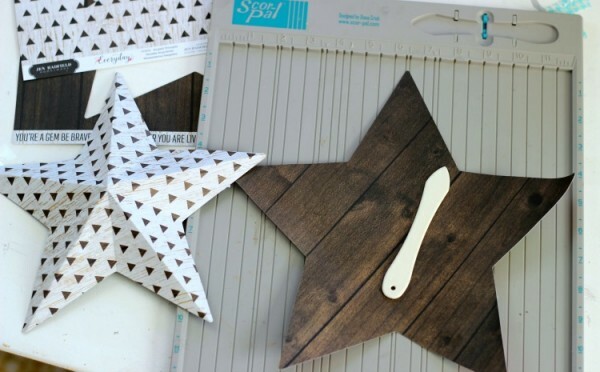 To make these Everyday Stars, I used my Silhouette to cut out a star cut file and then used my score board to make them dimensional. To make the dimensional stars, you use a score board to score point to point then mountain valley fold at the creases. 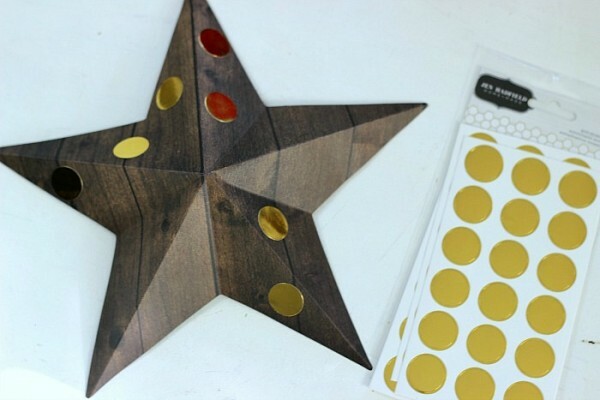 After my stars were dimensional , I adhered gold dot stickers onto one of the stars. Then, I adhered Everyday gold foiled ephemera on to the other star and tied a twine bow. 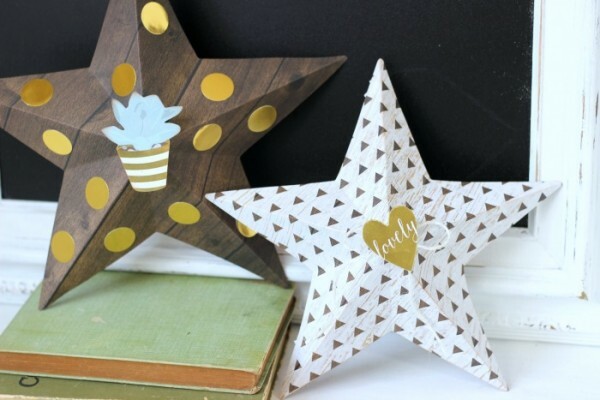 Paper stars are a simple project to add in to your home decor and are easy to change out for the seasons. 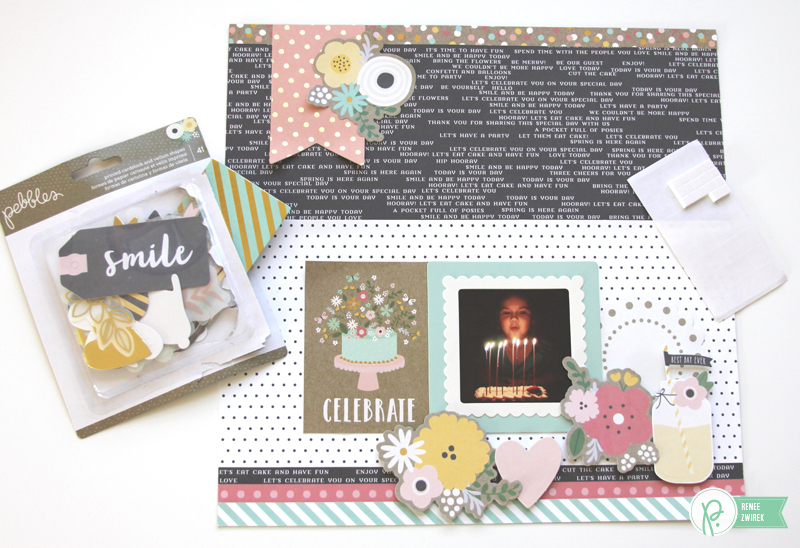 Hi, Renee here to share how I put together this Happy Birthday layout using the adorable Spring Fling collection. We are celebrating another St. Patrick’s Day soon and with that another birthday for our sweet baby, Payton! She turns nine and is super excited for her sleepover party. I made this layout with a favorite photo from last year’s celebration. 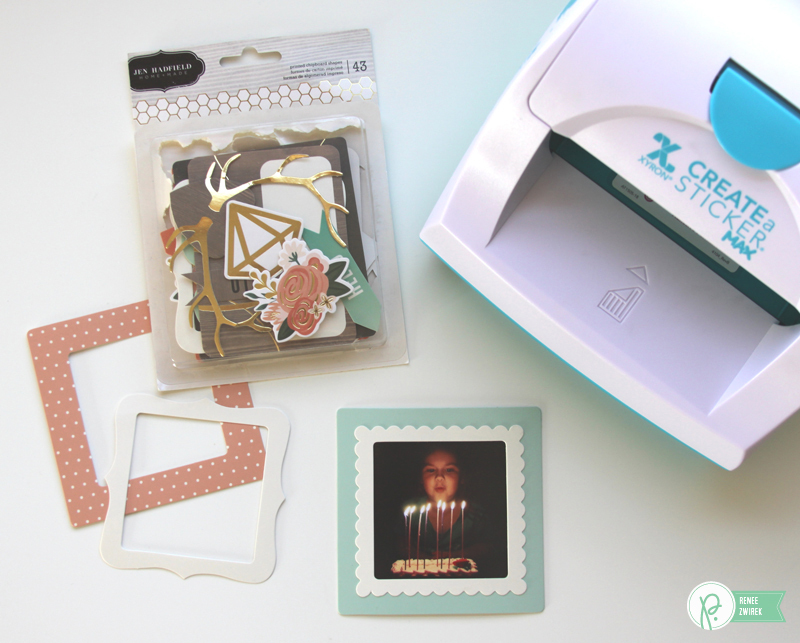 I started by layering a couple of DIY Home die-cut frames onto my 2¾” x 2¾” photo. 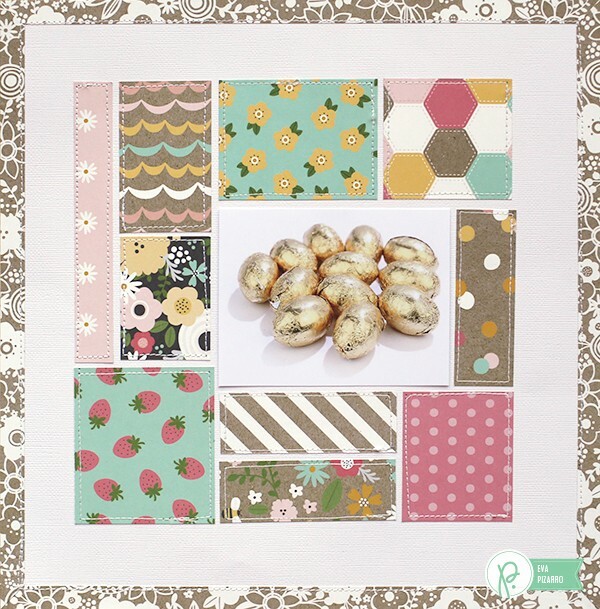 The blue frame measures 4″ x 4″ and the white scalloped frame measures 3¼” x 3¼”. 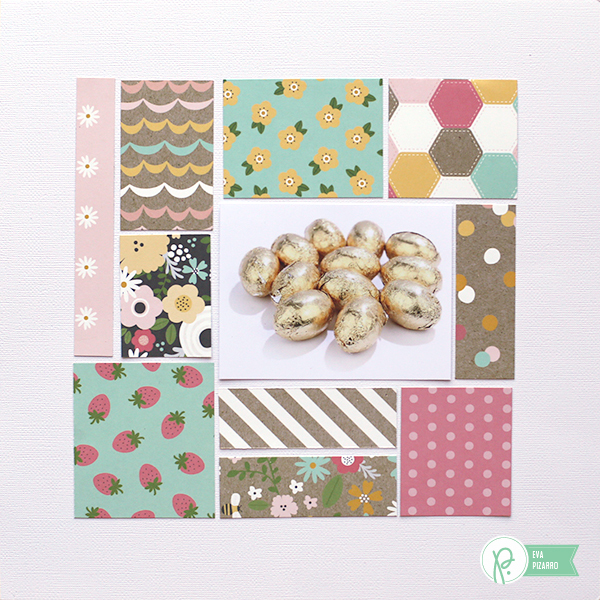 I used the Honey Bee pattern paper as my background. I trimmed off the bottom strip of the Celebration pattern paper and adhered it to the top of my page. 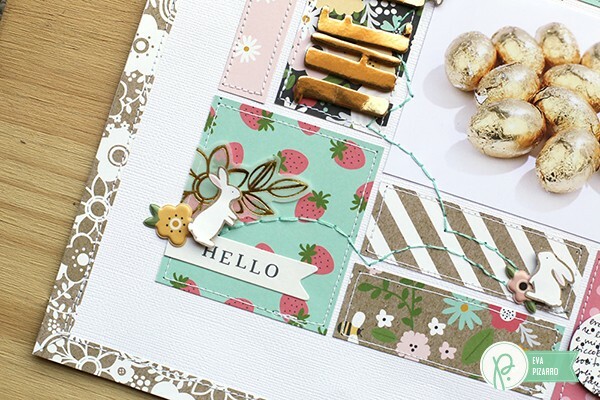 I trimmed off the bottom strip of the Spring Fling and a row of dots from the Strawberry Fields pattern papers and adhered them along the bottom of my page. 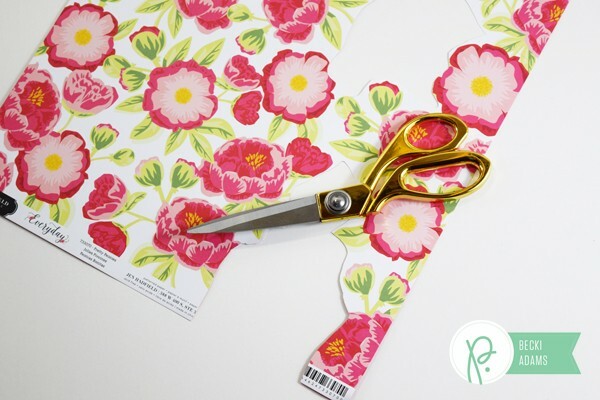 I also added a 5¾” x 12″ piece from the Chalkboard Floral pattern paper. I added my framed photo and a 3″ x 4″ card from the Cut-Outs paper. 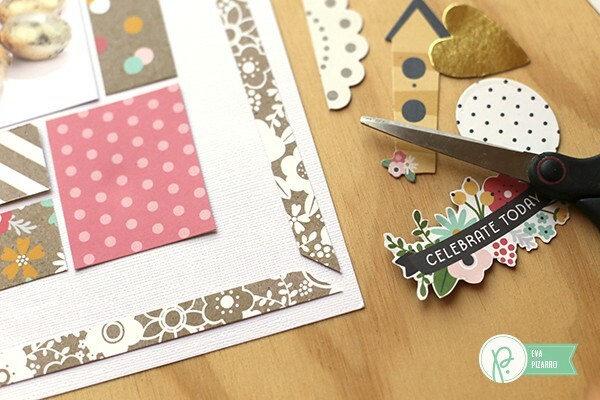 Great layers of Die-Cuts to embellish my page. 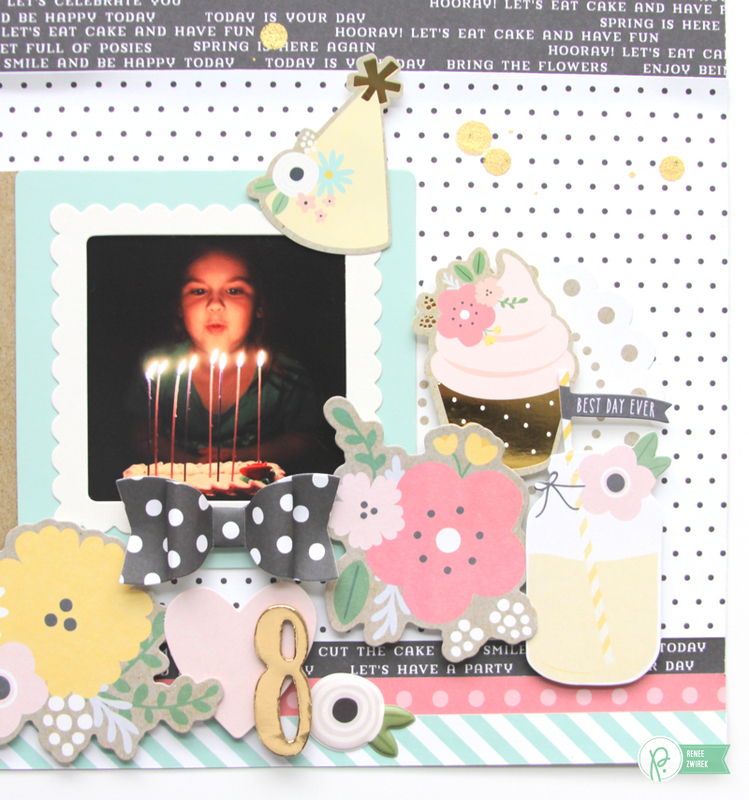 I added a party hat and pretty cake Stickers and a number “8” gold foam Thicker to my page. 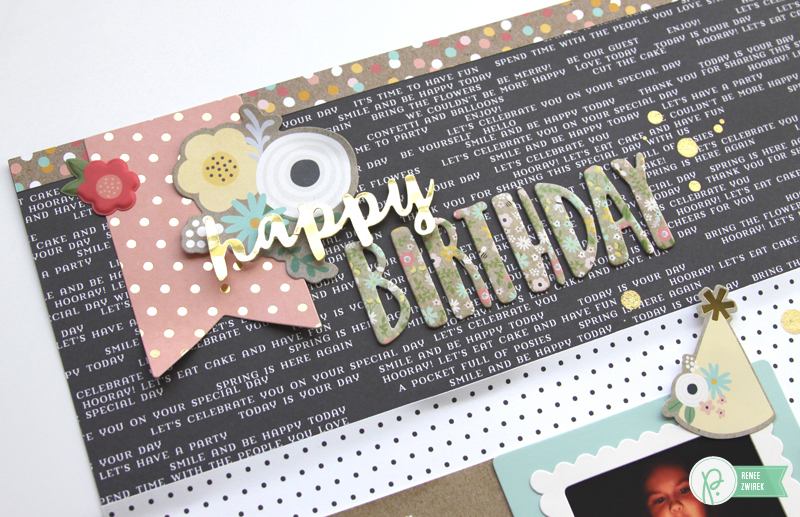 For my title, I combined the Gold Phrases Sticker with the Floral Chipboard to make “Happy Birthday”. 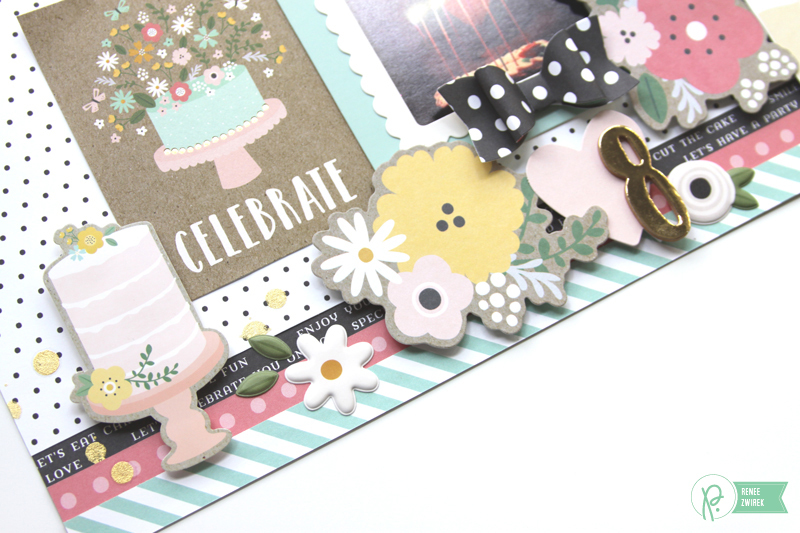 I made a bow embellishment from the From Me to You pattern paper and added a cupcake Sticker to my page. 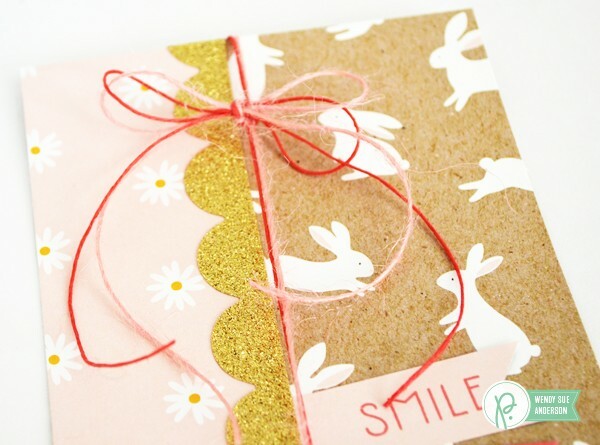 …and sprinkled Golden Color Mist for a finishing touch on my page. 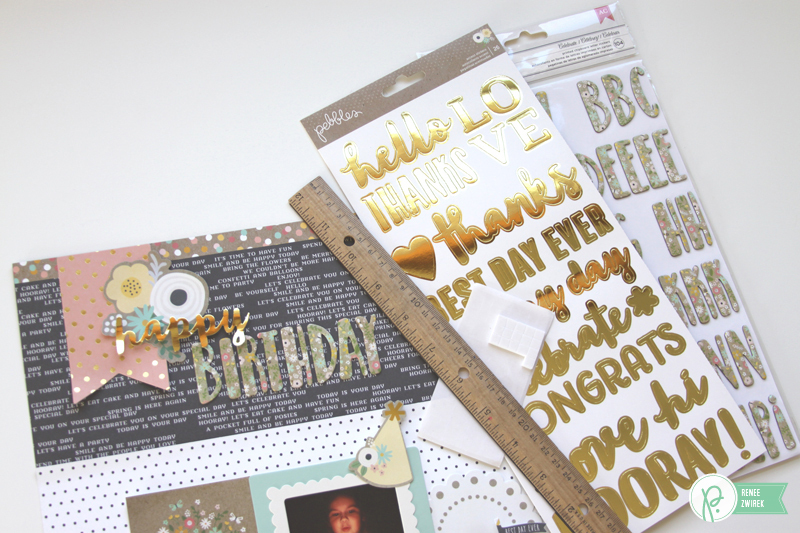 I hope you enjoyed my Happy Birthday layout. 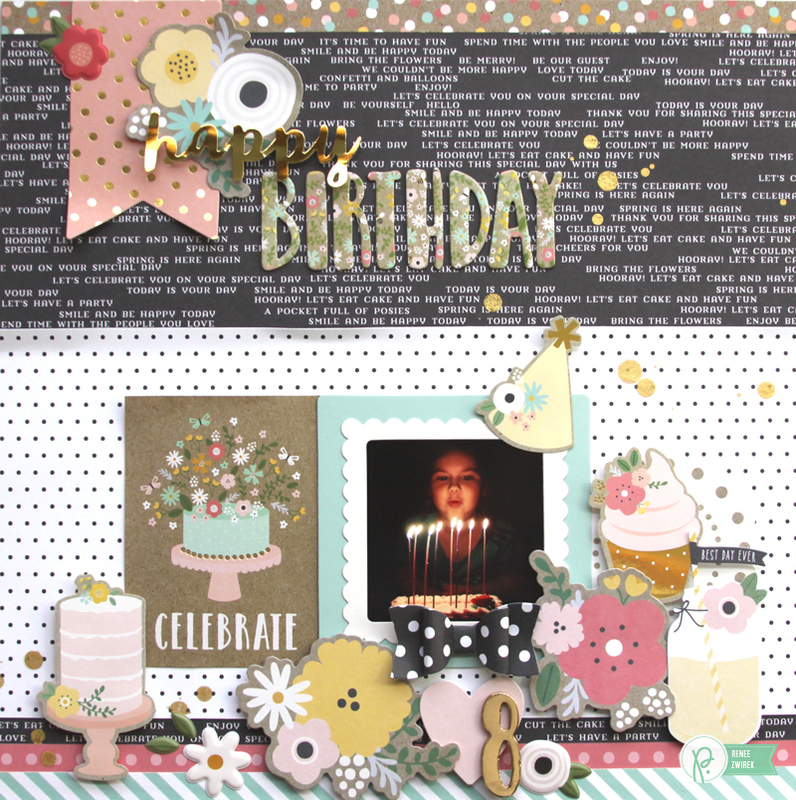 You can see more layouts celebrating my Baby Payton here. HAPPY ST. PATRICK’S DAY, Everyone!